The number of firearms discovered at security checkpoints and in carry-on bags put ABIA in the No. 8 spot on the agency's list of overall seizures for the year. But, proportionally, Austin led the country in its ratio of passengers to firearms seized. For comparison, Hartsfield-Jackson Atlanta International Airport led the country in passengers and in firearm discoveries last year. TSA agents found 298 guns at checkpoints and in luggage at the Atlanta airport, which had 107 million passengers in 2018. 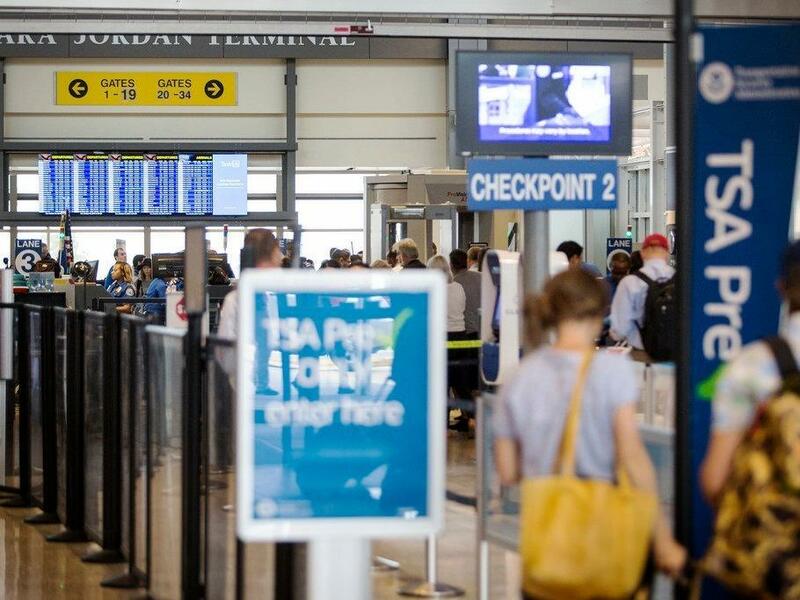 In Austin, there were 93 discoveries compared to 15.8 million passengers. Austin wasn't the only Texas airport to make the list. 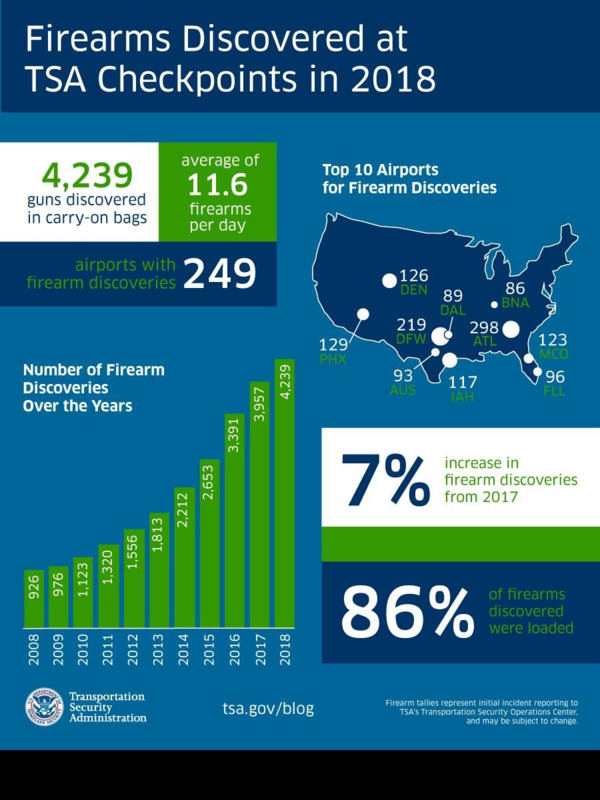 Dallas/Fort Worth International Airport trailed behind Atlanta in 2018 with 219 firearm discoveries overall. George Bush Intercontinental Airport in Houston was No. 6 on the list with 117 firearms. And at at Dallas Love Field Airport, which ranked ninth on the overall list, agents found 89 firearms. In total, TSA screeners found a record-setting 4,239 firearms at airports nationwide last year, a 7 percent increase over 2017, 86 percent of those firearms were loaded, the agency says. As Fred Nelson shuffled through a crowded convention center in Tulsa, Oklahoma, a man tapped him on the shoulder to ask about a gun. Background Checks Are Up In 2018: What Does That Mean For The Trump Slump? Gun sales have been trending down since the 2016 presidential election when the sales hit a record high. News outlets, including The Wall Street Journal, NPR and Bloomberg, have called this decline in gun sales the "Trump slump." With all the talk about property tax and school finance reform in the Texas Legislature so far, one has to wonder — what about guns? The Federal Aviation Administration reported delays in air travel Friday because of a "slight increase in sick leave" at two East Coast air traffic control facilities. Nearly 4,000 guns were discovered in carry-on bags at security checkpoints in U.S. airports last year, the Transportation Security Administration reports.